FREDERICTON, NB – Picaroons Traditional Ales has announced details of a new beer created especially for the upcoming New Brunswick Highland Games Festival. 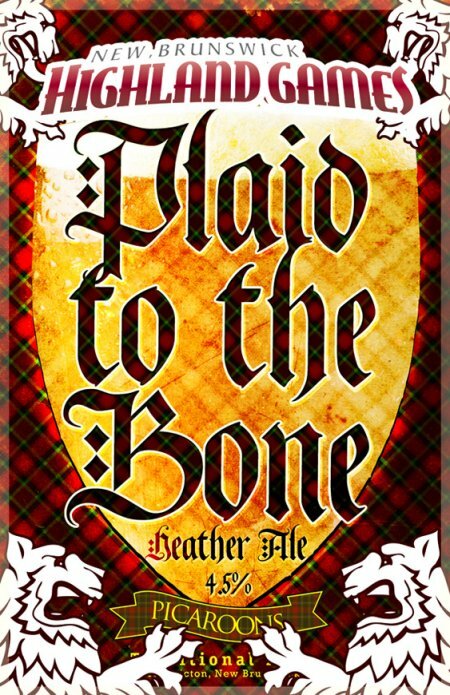 Named by Emily Moller in a naming contest, Plaid to the Bone Heather Ale is a 4.5% abv ale made with heather tips and flowers. The new beer will be debuted next Tuesday July 24th with a ceremonial cask tapping at the Lunar Rogue (625 King Street, Fredericton). It will also be available at the Festival, which runs July 27th to 29th at Government House in Downtown Fredericton, and at the Picaroons Brewtique retail store while supplies last.